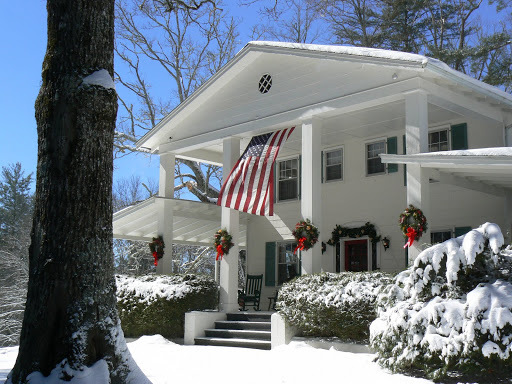 We’re off to a snowy start this New Year and there’s plenty of fun for everyone whether it’s relaxing by our warm, cozy fireside with a glass of sherry, sliding lickety-split down a snow tubing run, or viewing the enormous icicles hanging from waterfalls and growing out of cracks in the granite cliffs. It’s a sight to see and in addition, Harris Lake has frozen solid for the first time in a decade – so bring your ice skates for a true Currier & Ives experience! Second-Night-Half-Price rates are in effect through April and that means Colonial Pines continues to be the best bargain in town with hearty breakfasts to get you going and hot chocolate, tea & cookies to warm you up when you return. We’d love to have you as our guests! Call us toll-free at (866) 526-2060.